When my sisters and I were little, my parents used to hide our Easter baskets in various spots around the house. We'd get up early in the morning and follow a trail of paper bunny tracks to the hidden pink, purple, and yellow baskets overflowing with plastic grass, colorful jelly beans, milk chocolate bunnies, sticky Peeps, and our favorite books and toys. Such fun! For me, the biggest thrill was in the hunt. The basket of treats was definitely awesome, but it was the anticipation of what was in store that I liked best. I feel the same way about food. My favorite part of being served/serving loved ones a meal is right after everyone takes their seat and the food starts coming out. I love those moments of anticipation and wonder, followed by the sights, smells and finally tastes. It makes all the time and effort worth it. And it inspires me to come up with fun new dishes to share. 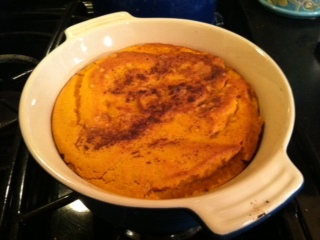 Carrot Soufflé makes a great side dish to a tender leg of lamb, a gorgeous roast duck, or buttery baked ham. Want something green? Take 1.5 lb of Brussels Sprouts, cut off the ends and slice in half lengthwise, then toss in a few tablespoons of olive oil, a sprinkle of kosher salt, a couple twists of pepper, and a dash or two of balsamic vinegar. Roast in a 400 degree oven until browned and tender, about 40 mins. Add crispy bacon crumbles if you like, and toss with a bit more olive oil before serving. 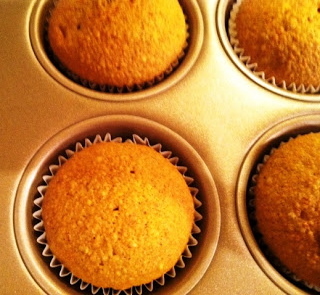 Serve these Carrot Cake Muffins in a basket along with your famous Hot Cross Buns for a little variety. Or, for dessert, top with cream cheese icing and a sprinkle of chopped toasted pecans. Cream cheese icing: 1 stick butter (softened), 1 package of cream cheese (softened), 1 tsp vanilla extract, 1/4 tsp ground ginger, 3 cups (more or less) confectioner's sugar. Using mixer, cream butter and cheese together until smooth. Add the vanilla and ginger and mix. Slow down mixer and add sugar about 1/2 a cup at a time, until icing is thick and at the level of sweetness you prefer. 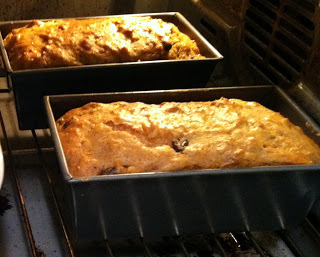 Another great choice for your bread basket: I made this Holiday Harvest Bread in December using Seminole squash, but you can replace the squash with 1 1/2 cups grated carrot and serve for Easter! Not sure what to do with that giant chocolate bunny towering above your other centerpieces? The one your dog keeps eyeballing and is threatening to ruin your spring break diet? 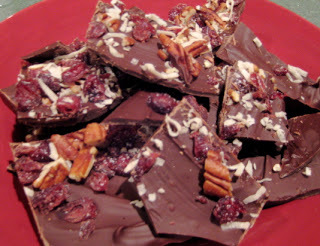 Chop it up and make Chocolate Bark with it, then serve for dessert. There won't be any left to taunt you, or your dog. 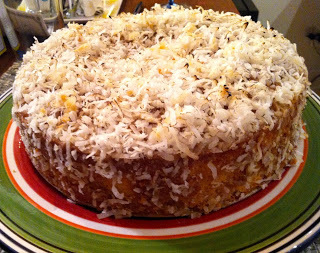 This family recipe for Lazy Daisy Cake makes a lovely dessert! 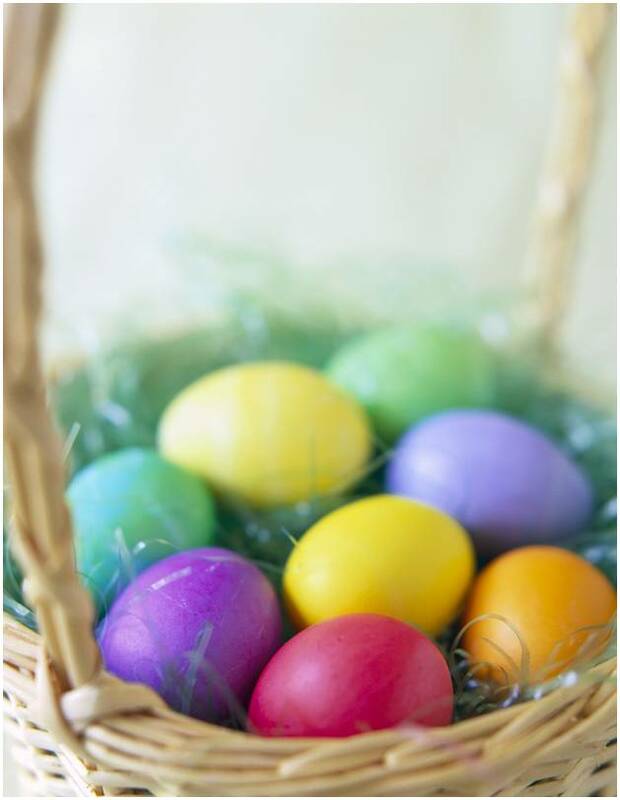 Add some pastel sprinkles or jelly beans to the top for some Easter whimsy. Or, serve it with a dollop of orange or raspberry sherbet for a pop of tang and color. Top photo courtesy of Clip Art.